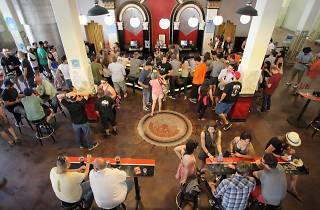 Photograph: Courtesy Angel City Brewery Angel City Heritage Festival. 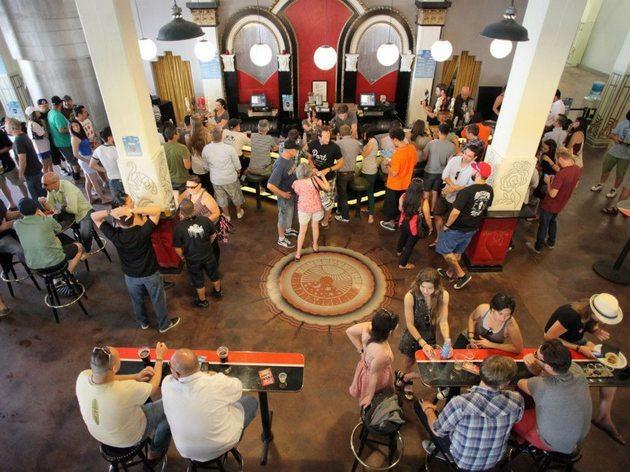 Like any other event at Downtown’s industrial alehouse, Angel City Brewery is taking things up a notch and throwing a three-day Halloween bash of epic proportions. Start off your devilish weekend with a HOWL-oween party on Thursday night—that’s right, even your furry companion gets a trick-or-treat. Bring the dogs out for a doggy costume contest, games, live music and more with ticket proceeds supporting the Downtown Dog Rescue. Then make your way back to the brewery (minus the dogs) on Friday night for a frightful Halloween party Angel-City style, with live bands, Downtown Dogs’ gourmet hot dogs, costume contests, face painters and more. Finally, top your ghoulish weekend off with a Dia de los Muertos celebration on Sunday with food from Taqueria el Severo and Si Paletas, music, face painters, and a special “Day of the Dead” gallery exhibit from local artists.